Adaaf Advisory Service is a unique Stock Advisory Company, the one of its kind, wherein our services are focused on delivery based investment & wealth creation. We discourage and discard Day's Trading, Derivative Trading and Speculation. The company is promoted by Imtiaz Merchant, an expert Equity Research Analyst with an experience of over 17 years. Mr. Imtiaz Merchant is a postgraduate in Commerce & Management and is registered with SEBI as a Research Analyst. Mr. Imtiaz Merchant with his innovative skills of equity analysis have been advisor and consultant to many individuals, HNIs, Broking houses and companies that are in the business of equity investment by giving them portfolio advisory services and stocks investment ideas and has been instrumental in creating value for his client's equity portfolio. He has vast knowledge of Fundamental Analysis of companies in terms of number crunching and corporate governance which according to him is vital for the success of a company. He has acquired a decent knowledge of Technical Analysis and has developed his own proprietary indicators to study the price action of the stocks. He believes that good Fundamental analysis tells us what to buy, and technical analysis helps in telling us when to buy and sell. According to Mr. Merchant, Fundamental + Technical Analysis = Rational Analysis. A proper utility of both the studies yields good results and correspondingly good returns. Adaaf Advisory Services strictly follows the discipline of not advising on day's & derivatives trading. Our advices are for investors who would take delivery may it be Short, Medium or Long term. We are very particular in stock picking, we screen companies based on our ethical investing norms. We don't suggest investing in companies that are in huge debts but rather pick stocks that are least leveraged. Our idea of Ethical investment is based on investing in socially responsible businesses. Hence we refrain from advising on companies that are in the business of Alcohol, Tobacco, Meat, Distillery & manufacturers of Weapons of mass destruction. As part of our socially responsible theme, we never suggest our clients to buy stocks of the companies that provide services like Casinos & gambling, vulgar entertainment and interest based financial intermediaries. Our Mission is to promote investment and not speculation. Through our advisory services, we want to encourage socially meaningful and responsible investments which aren’t unsocial or unethical. “Derivatives are financial weapons of mass destruction” as told by Warren Buffet. We believe in this principle of Warren Buffet. Wealth is created through Investment, speculation destroys the wealth. Investment multiplies money in long term but speculation is a minus some game and erodes wealth, only the stock brokers, tax collectors and jobbers make money at the cost of speculators. Our mission is to guide the investors and traders community to come out of this menace of speculation and only invest & earn. Since the time immemorial speculators have never earned money, they don't realize that there is no money in the pot for them to earn, it is simply their perception and greed. History has proved that an investor gets an investor's return, and a speculator gets a speculator's return. One needs to understand the lines in between. Adaaf advisory services is very clear about its vision - To make the world a better investing hub and this can be best justified with social and moral responsibility in Finance. Our policy is to sell advisory services and not to miss-sell it. If our clients don't profit from our advisory services than as a part of responsible advisory services, we make sure that until he recovers his losses and costs, we don't discontinue his services. 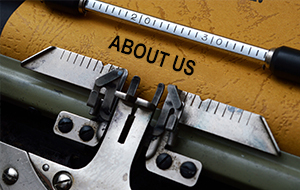 We have well trained and experienced client relationship management (RM) team. The RM’s personally talks and interact with clients and not only resolve their problems but ensures that clients make profit from our advisory. We believe in client loyalty. We guide our clients through personal interaction and tutorials section as how the clients can use our services. We study the risk profile and risk appetite of our prospective clients and based on the analysis we suggest suitable services to them. 'The Proof of the Pudding is in the Eating'. Performance is certainly very critical to stock advisory services. We at Adaaf, through our in-depth research and analysis, have on most occasions beaten the markets. We believe in growth companies and don't advise penny stocks or very high leveraged companies that are on the brink of disaster. We believe in leaders and not the laggards. To know more about our Services, you may visit our Services sections and to study and analyze our advisory performance, you can visit our “Our Performance” section.